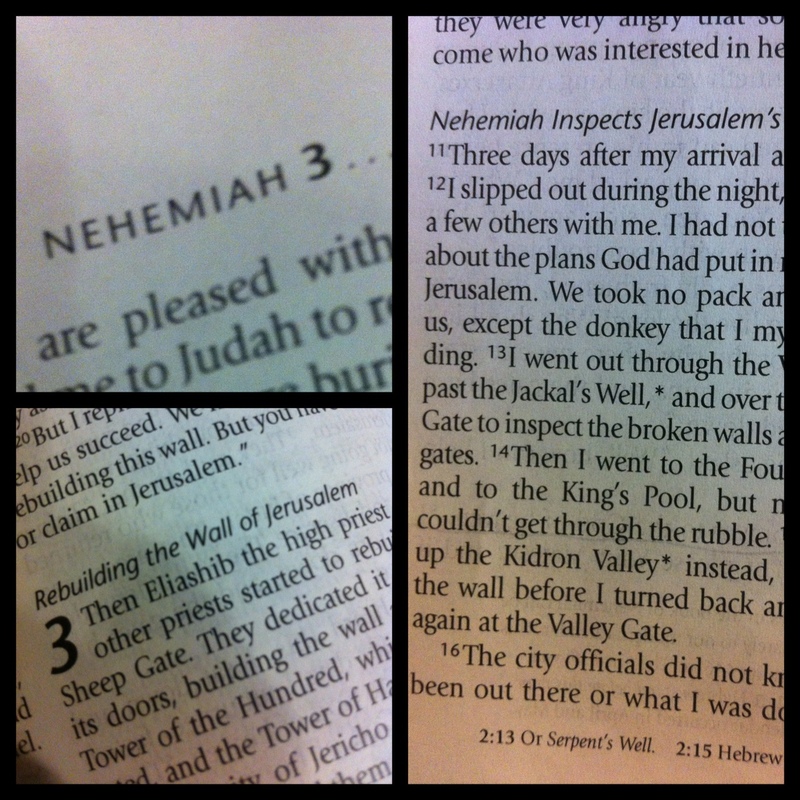 Nehemiah begins by dealing with reality. He shows up in Jerusalem and doesn’t assume he knows the people, place, or process to build the wall. Instead he waits and inspects the wall before going public with the vision. Because a vision shared prematurely dies quickly. A vision that isn’t connected to reality doesn’t succeed. So he adjusts his plans and figures out how to the build the wall not in theory but in practice. So he first deals with reality before sharing publicly. He then shares his vision, but he shares it with clarity in 4 steps. He says what the problem is, what the solution is, why it needs to be done, and why the timing is right. Each of these steps leads to clarity and then commitment on behalf of the people. He shares that the problem is the walls are burnt and down, that the solution is to build the walls, that it needs to be done because they are a disgrace, but it’s the right time because God is with them at this very moment. So they all agree and begin to build the wall. The last thing Nehemiah does is he owns his personal responsibility in the vision. He consistently speaks of “we” rather than “they”. He doesnt’ show up and give the city officials the plan, resources, and letters and then say “Now you build the wall”. No, he knows that if God has given him the vision, he is to be part of carrying it out. Too often people get a vision and then expect their church, their pastor, or their little committee to program it, run it, and own it. The truth is we need to personally own and be responsible for what God gives us. We can’t expect others to risk or give more than we are personally willing to give or risk. Adult Discussion Questions: Has God given you something to live for? If not yet, how can you find out. If so, what is the reality you are dealing with? What is the problem, the solution, why it needs to be done, and why this is the right timing? How have you seen people’s visions “compete” before? How can we ensure our personal visions don’t ever compete but complete God’s overall design? How much are you personally willing to give for your vision?